On October 29, 2015 PCL received The Gold Level Waterloo Region’s Healthy Workplace Award 2015. Among the other 20 local organizations we were selected for demonstrating our strong commitment to improving the health of our employees. 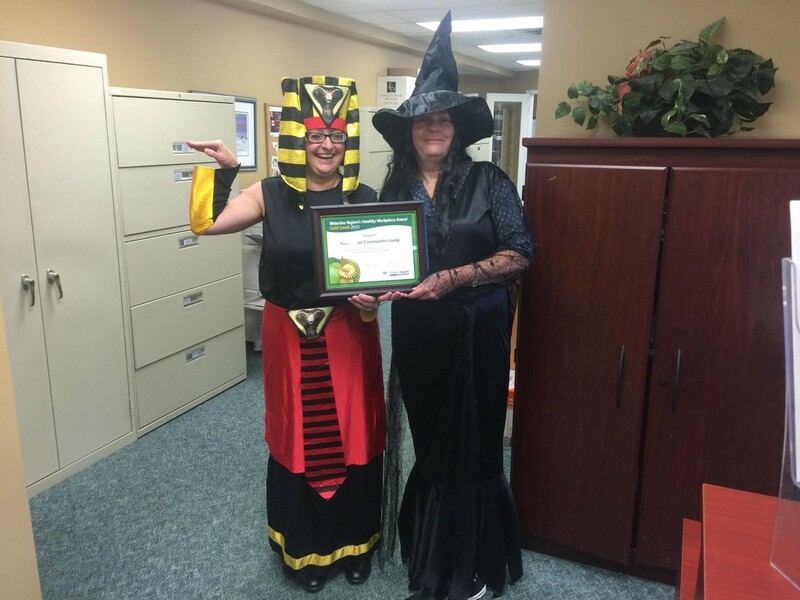 Luckily, it coincided with the celebration of Halloween at the PCL office, so we can showcase both our award and our creativity through costumes.